The prodigal son did not want to live in his father's presence. The older son did not know how to live in his father's presence. Both sons had the same problem--they desired fatherless parties. 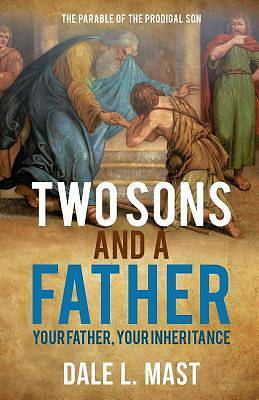 The younger son wasted his inheritance while the older brother slaved in the midst of his--trying to earn what he refused to receive. Asking is the privilege of sons, an authority hidden from orphans. God, the creator of all mankind, desires to be your Father. When the disciples asked Jesus to teach them how to pray, the first two words He gave them, "Our Father," set the tone and reality of the entire prayer. If these two words do not grip our hearts, the rest of the words lose context as well as the implicit favor that comes from that dynamic personal relationship. Dale has served as senior pastor to Destiny Christian Church in Dover, Delaware since 1983. He is married to LuAnne Mast and they have six children and four grandchildren. They travel nationally and internationally together as conference speakers. Dale is a father to many, serving in various networks and ministry boards. He also authored "And David Perceived He Was King."